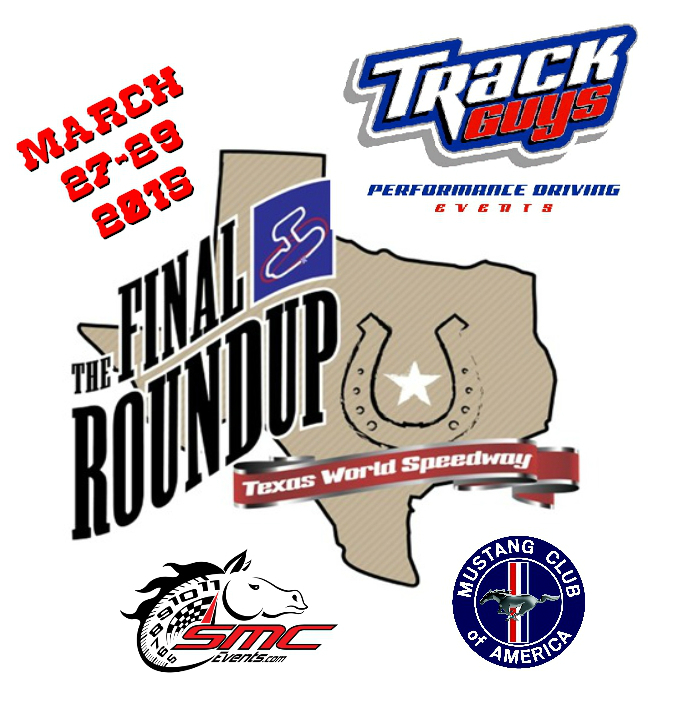 We have received word from our friends at Team Mustang and Ford Performance that they will be attending our March 27-29 event at TWS and bringing with them a very special car: the all-new 2016 Shelby GT350 Mustang. Jim Owens, Shelby and Boss Marketing Manager for Ford Motor Company be in attendance visiting with Mustang enthusiasts, discussing the new Ford Performance group and will be the keynote speaker at the Saturday night VIP Dinner that will be held in the paddock at Texas World Speedway as part of the event. While the driving event is completely sold out, there are still spots open for the Final Roundup Car Show, parade laps and Poker Run, as well as the Saturday night VIP Dinner event. We highly recommend you per-register for any of the events you wish to attend. Go to http://www.thefinalroundup.com to sign up for the car show, poker run and to purchase your tickets to the Saturday night VIP dinner. 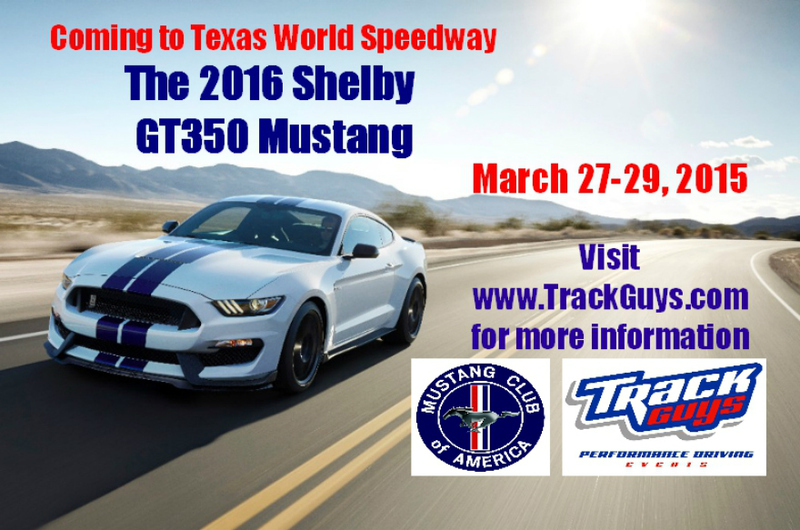 This entry was posted in Uncategorized and tagged 2016 Shelby GT350 Mustang, Ford Performance, high-performance driving, On-track performance driving, Performance driving, Texas World Speedway, Track Guys Performance Driving Events. Bookmark the permalink.